Win a FREE Golf Vacation and Gear in Coastal Canada Summer Giveaway Contest! Golf Coastal Canada (www.golfcoastalcanada.com), a consortium of golf destinations along Canada’s Atlantic seaboard – New Brunswick, Newfoundland & Labrador, Nova Scotia and Prince Edward Island, announces their online Summer 2011 Contest. Residents of New Jersey, New York and Pennsylvania can enter to win weekly golf gear prizes, or one of Golf Coastal Canada’s three Grand Prizes, with golf trips to the Atlantic Canada provinces. 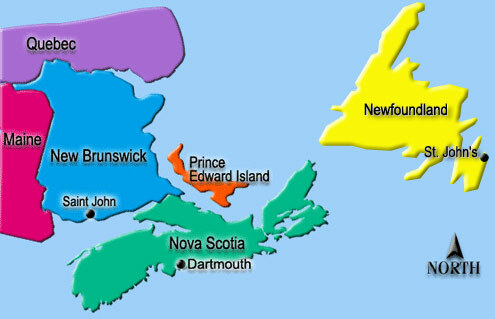 Golf Coastal Canada wants to bring the Atlantic Canada golf experience to life for residents of this tri-state area. 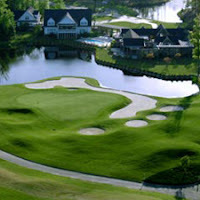 Beginning June 20th through August 17th, 2011, New Jersey, New York and Pennsylvania residents can enter Golf Coastal Canada’s Summer Contest by clicking on the contest icon at: www.GolfCoastalCanada.com. Weekly prizes include a dozen Titleist golf balls and Atlantic Canada ball caps. The Three Grand Prizes include a golf trip for two people to one of the Atlantic Canada provinces. Each Grand Prize trip includes three nights accommodations, a package of four rounds of golf and a power cart for two. The Atlantic Canada provinces boast some of the best golf in the world – in 2011 Prince Edward Island received the prestigious “Undiscovered Golf Destination of the Year” Award from the International Association of Golf Tour Operators (IAGTO). Departures Magazine named Golf Cape Breton, on the Cabot Trail in Nova Scotia, one of “The World’s Best Golf Destinations” in its March/April 2011 issue. In addition, both Newfoundland & Labrador and New Brunswick offer several top-rated courses sprawled across breathtaking, rugged terrain. Now residents of the tri-state area have the chance to personally experience these courses, not to mention Atlantic Canada’s renowned local cuisine and culture. 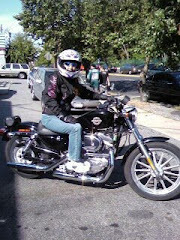 This contest is intended for residents of the states of New Jersey, New York and Pennsylvania only. This excludes, without limitation, the state of Florida and all US territories and shall only be construed and evaluated according to United States law. You must be the age of majority in your state of residence or older to enter. You are not authorized to enter this promotion if you do not meet these criteria. Internet access required. Grand Prize Trip Winners will be responsible for providing their own airfare, ground transportation, meals and other incidentals on their trips. Winners will be personally notified by email only. All prizes must be claimed before the expiry date of August 30, 2011. Prizes have no cash value and must be accepted as awarded with no substitutions. No cash substitutes, no exchanges, refunds or returns. An individual may only enter once per week during the promotion period. Golf Coastal Canada (www.golfcoastalcanada.com) is the golf consortium representing the four provinces that make up the Atlantic Coast of Canada - Golf New Brunswick (www.golfnb.com), Golf Newfoundland & Labrador (www.golfnl.ca), Golf Nova Scotia (www.golfnovascotia.com) and Golf Prince Edward Island (www.golfpei.com). Each of these four destinations has its own signature offerings, including top-rate accommodations, local cuisine and culture and, of course, a wide variety of courses for different levels of play. Join Stacy and Barry next week on Twitter @Golf4Beginners, Facebook and Golf for Beginners blog as they share their Canada golf vacation in Fredericton and St. Andrews, New Brunswick! Research shows that about twenty percent of all golfers regularly score better than ninety for eighteen holes on a regulation length golf course; on a course rated seventy-two, that score translates into an eighteen handicap. Enter the trials and tribulations of Larry David, who, in the current issue of The New Yorker Magazine, discusses the stages of his golf game which led from anger to denial and finally to his acceptance of the word 'fore'. It's amazing how even the most jocular sorts turn dead serious when discussing their golf game and have even injected golf into their "schtick". Ray Romano's character in "Men of A Certain Age" is a scratch golfer attempting to gain entrance to the Senior Tour. Larry David, ever the sad-sack golfer in "Curb Your Enthusiasm", enlightens readers in this article as to why he should probably never again play golf at Riviera Country Club. Both comedians love the sport and both are relatively good golfers: Romano's handicap (12.6) and David's handicap (13.6) fluctuate but are within a few strokes of each other. The difference is the way each celebrity golfer approaches the game. Romano practices regularly and has even engaged the services of Hank Haney in order to try and break eighty. On the other hand, although Larry David (with a bit of help) could perhaps one-day become a single-digit handicapper, he has chosen to accept his shortcomings maintaining, "I’ll never be good. It’s just not something I’m suited for. That’s O.K." What irks me is how Larry David habitually belittles his ability, "golf is just a hobby I stink at", when the average guy can barely break 100! Without Tiger Woods can American golfers rally at The Open? The latest headlines read, "Tiger Woods out of AT&T National". Notah Begay has postponed his charity event until the former number one recovers and is now suggesting that Woods may also step away from the British Open. Although American PGA Tour golfers, without Tiger Woods in the field, are winning their share of weekly events, they have handed over the last five majors to European Tour golfers, leaving American "grinders" shaking their heads in disbelief. Even Steve Stricker is disappointed with his inability to win majors, stating after the 2011 U.S. Open, "These major championships are kind of new to me. I’m going in with kind of low expectations." With Stricker (etal) not expecting to mount much of a contest, he surely won't. Without Tiger Woods in the field challenging the level of play, the PGA Tour is undergoing major restructuring, stating on their website, "nearly one-third of 2011 TOUR winners are first-timers." Has the lack of one popular (almost super-human) golfer, the level of play and the sport itself been depleted as Ed Berliner states, "falling in popularity behind billiards, MMA, and the Wii version of "Duke Nukem: Guns & Gusto at Augusta”? If so, are Tiger Woods and Rory McIlroy the only golfers who can save it? Fans need a hero who can delight and excite the crowd...and they want to cheer on a "likeable guy". Being "very American" myself, allow me to mention two players who have made waves in golf this weekend. Nineteen-year-old Patrick Cantlay took low amateur honors at the 2011 U.S. Open and shot a course record of 60 during the Travelers Championship, the lowest round ever for an amateur on the PGA Tour. He's young, collegiate and the future of the sport. Nationwide Tour golfer Eric Compton, has overcome two heart transplants to win this week's Mexico Open. Enough said, as this golfer already has the fans "hearts." The Americans are out there grinding (even if a Swede did win this week), as a group they just have to band together, raise their collective expectations, step out of the shadow of Tiger Woods and prove their mettle. New faces are constantly emerging: whether it be from the PGA Tour or European Tour, one golfer will eventually come forward to take over where Tiger Woods left off: it has happened before, it will happen again. Having said that, golf is becoming more of a global sport with each event won on either side of the pond. Many European Tour golfers have studied/bought property, played golf in the U.S.A. and conversely, PGA Tour players like Mickelson have shown up to play in events such as the Abu Dhabi Golf Championship. Fans should cheer their favorite player (as they did with Tiger Woods) and not where he or she heralds from in order to get the most out of the game. But, since fans still 'root for the home team', will an American PGA Tour golfer playing in The Open capture the Claret Jug and end the drought? If so, will his name be quoted in numerous articles as the next Tiger Woods? 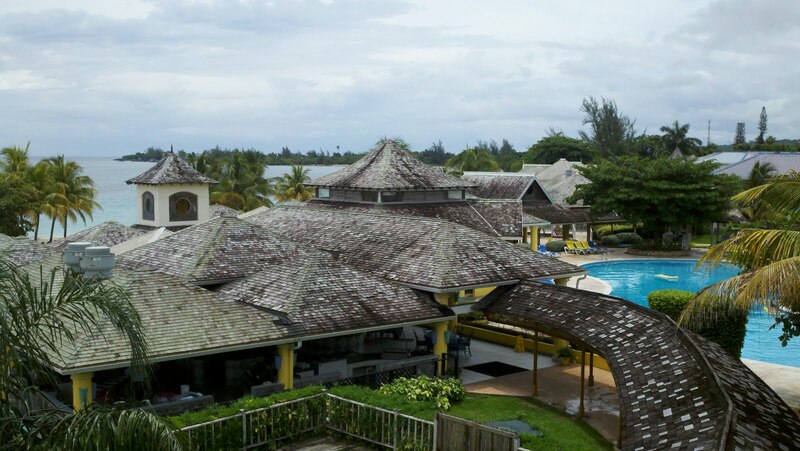 When I first received a press invitation to visit Breezes Runaway Bay in Jamaica as part of a girl's golf getaway, I must admit I jumped at the chance! 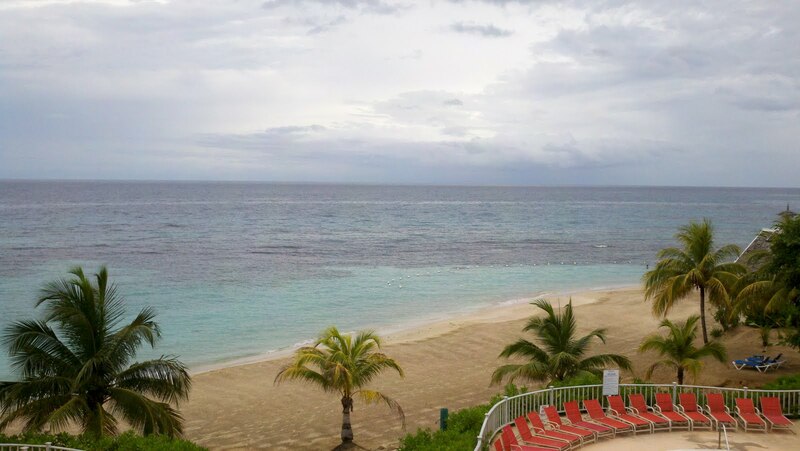 Only a three-hour Air Jamaica flight to the beachfront at a super-inclusive resort on the Caribbean Sea, walking upon some of the finest sand, being pampered with manicure, pedicure, spa treatment, and playing golf? 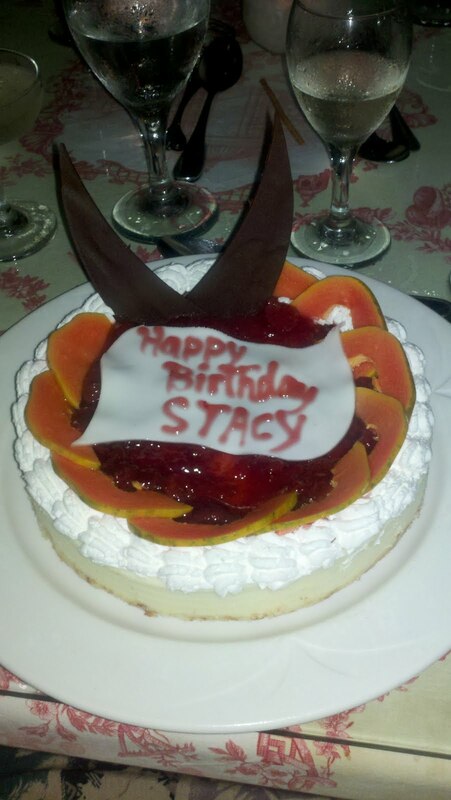 It was a dream come true...and a birthday wish! 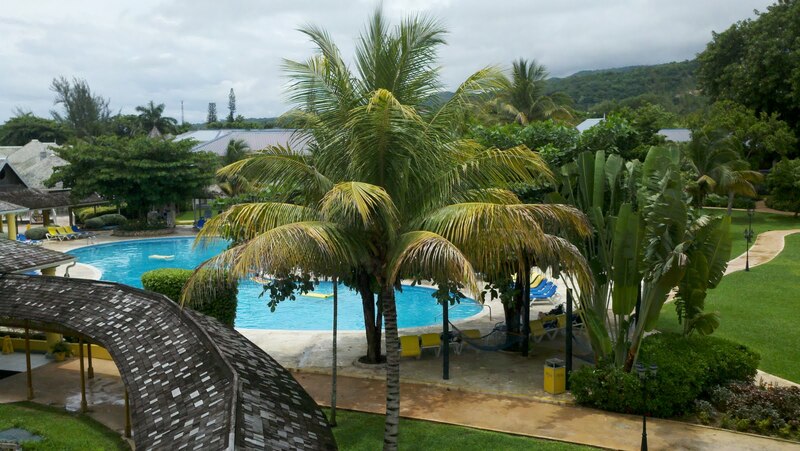 SuperClubs Breezes Runaway Bay is on a lovely quiet cove with everything a vacationer needs in order to relax, from hammocks dangling in the shade to food and drink being served around every corner of the twenty-two acre retreat. 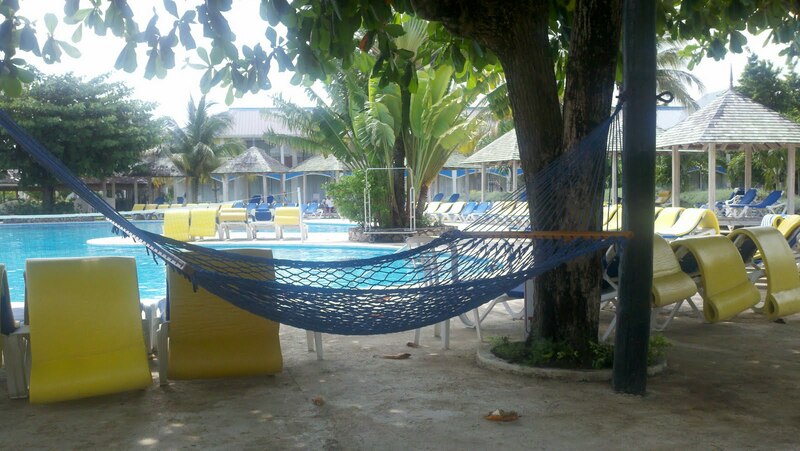 Although there are so many different activities to occupy your time outside of the complex (golf, Dunns River Falls, swimming with dolphins to name a few) it is a pleasure to just grab a book, take a swim or take a slow walk and melt the stress from the job which awaits you upon your return home. 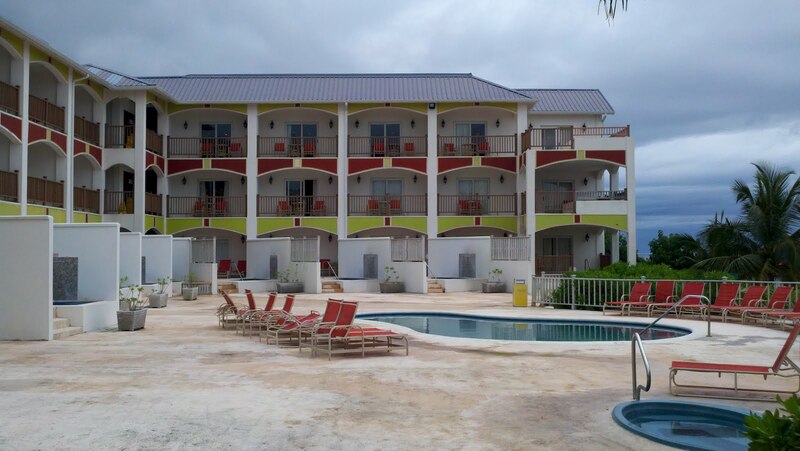 Could it be that Runaway Bay was named Breezes because of the casual, warmhearted feeling surrounding you as soon as you enter into the open-air sea-breeze infused atrium? 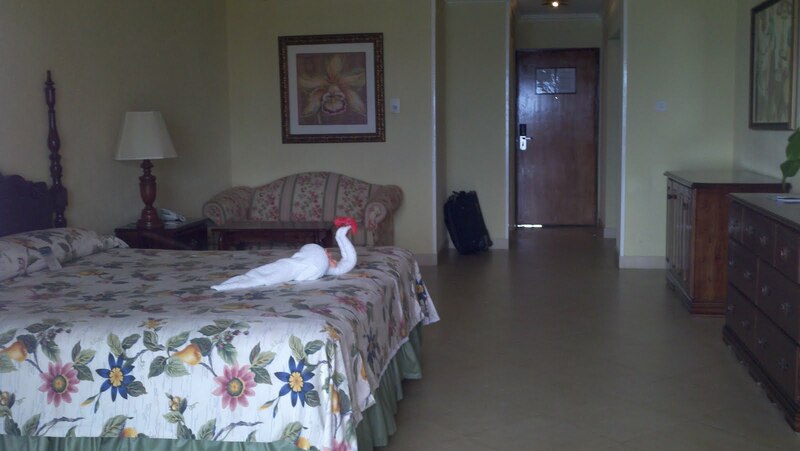 The front desk team is quick to greet tourists as is the bellman. Bartenders are standing at their stations mixing the day's special concoction. Yes, as soon as you enter this SuperClubs Resort, you feel as if your vacation has begun. 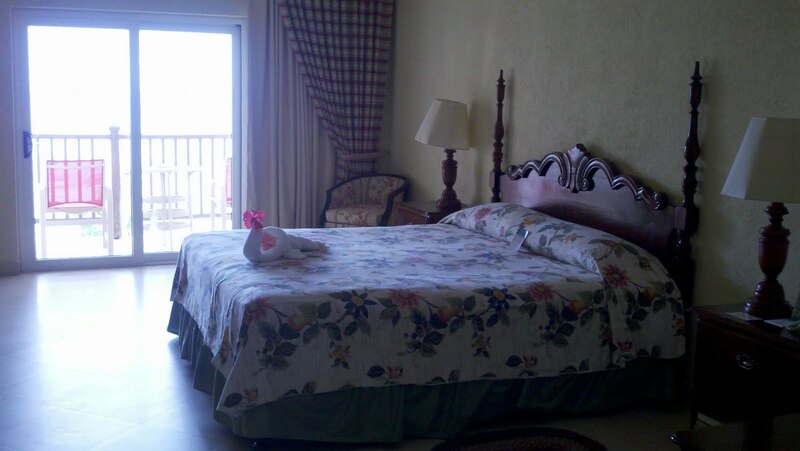 There are several room variations throughout Breezes Runaway Bay with different amenities: my room was slightly larger than the standard with terrific beach views. Some travelers might prefer the lush garden and pool view while others may enjoy a suite outfitted with a plunge pool; the choice is yours. Here are a few images of my room: although I did not take a picture of the double-sized shower with dual heads spraying me both front and back, I should have! Views from my private balcony (below) including a some of the suites with plunge pools. This new section of Breezes Runaway Bay Resort was also built with a small private pool and lounge area for a quiet retreat. Two additional pools within the complex are much larger. 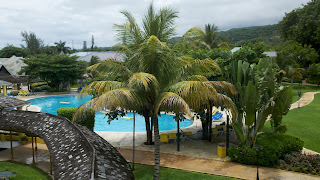 There is an infinity pool with a swim-up bar and music which was very popular. This SuperClubs Resort is a picture-perfect paradise. Rain comes and goes throughout the day and although the heat noticeably took it's toll on the fairways and bunkers of the PGA-quality championship golf course﻿, the views there were stupendous. The instructor in charge, Seymour Rose (a Senior Tour card holder), as well as the caddies, were very knowledgeable and "old school"; no video lessons (as I had originally thought), just basic golf lessons about how to make the best of the round, the golf course, and the golf swing. This was very refreshing! 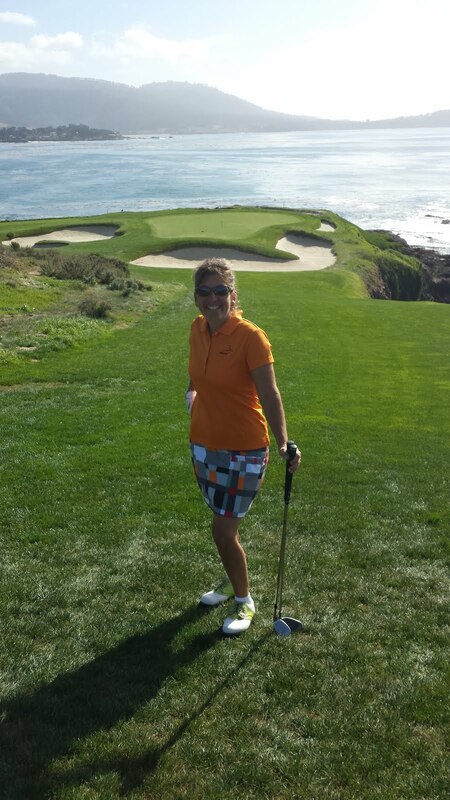 While playing golf, my partner Lois Friedland (a.k.a. 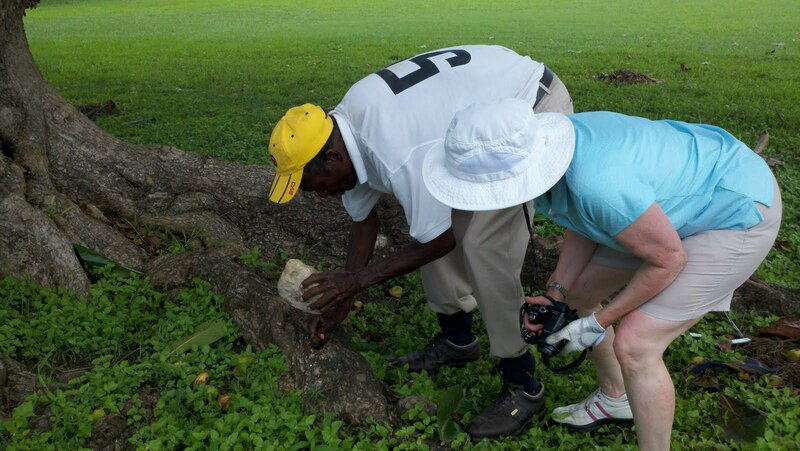 AdventureGuide) and I were not only assisted by our caddie Raymond, we also were treated to stories of the plantings on the course. In this picture, we had just bitten into the (bitter) fruit of an almond. Raymond cracked open a dried almond so we could sample what we purchase in our local supermarkets! 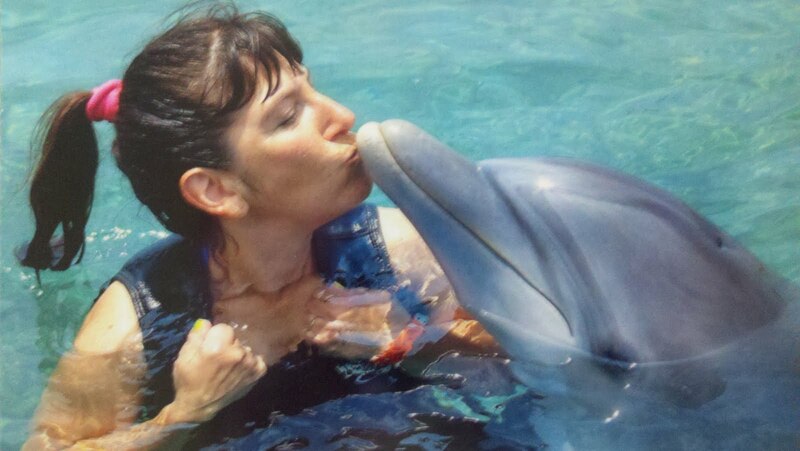 This was an exceptional and memorable vacation in Jamaica for me. 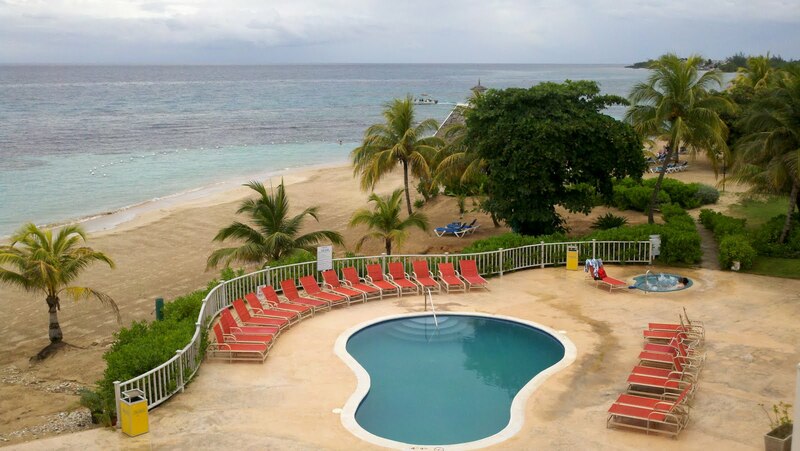 Breezes Runaway Bay Resort and Golf Club should not disappoint the traveler seeking rest and a view of the Caribbean from a Jamaican perspective. Stop and chat with the locals selling beads on the beach to gain an appreciation for their way of life. 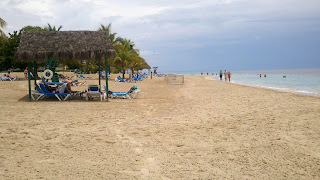 I'll leave you with a few pictures of one of the most beautiful beaches I have been to in recent years. 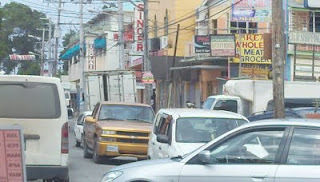 I also wanted to thank the Jamaican people who make visitors feel IRIE! August 5th 2011 marks five years to go before Rio de Janeiro hosts South America’s first Olympics and golf returns to sports’ biggest stage for the first time since 1904. Tim Maitland looks at how the sport is evolving in Brazil as 2016 inches nearer, from building awareness in the sport to golf as an international business. Read the first segment here, What Will Olympic Status do for Golf in Brazil? 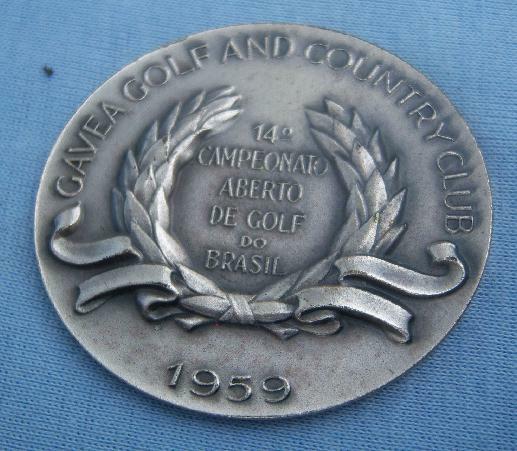 Typically, tournament golf is one of the biggest drivers of awareness in any emerging golf market, but the days when Gary Player, Ray Floyd, Jerry Pate and Hale Irwin etched their names on the Aberto do Brasil or Brazil Open trophy in the 70s and 80s are a distant memory. And the European Tour’s Brazil Rio de Janeiro 500 Years Open and Brazil Sao Paolo 500 Years Open as part of the celebrations of Pedro Alvaras Cabral’s “discovery” of the country in 1500 did no more than mark the anniversary and quickly disappeared. For the moment, it’s left to the limited-field unofficial HSBC LPGA Brasil Cup to fly the flag as the only truly international tournament. From a perspective of golf’s heartlands it might be hard to believe that a US $720,000 event could sustain the role, but the feedback locally says otherwise. Rachid Orra, with his South American Golf Federation hat on, described the victory by Columbia’s Mariajo Uribe at the end of May over a field that included both Cristie Kerr and Suzann Pettersen, as being as significant to the region as Jhonattan Vegas’ victory at the Bob Hope Classic in January; even though Vega’s win has single-handedly changed Venezuela president Hugo Chavez’s attitude to the sport. “Symbolically, it’s the same thing because it’s a girl that has beaten some of the best players in the world!” declares Orra. Before the event, Rio’s biggest newspaper, O Globo, shoved aside some of its wall-to-wall soccer coverage to give Pettersen and Kerr posing at a photocall on Botafogo beach prime position on the second page of its sport section, briefly relegating the news of Flamengo, Fluminense, Botafogo and Vasco da Gama. Such coverage of golf hasn’t been seen in recent memory. “It was fantastic. That helps a lot. I think the last time was back in the 70s when there were fewer things to cover and it got more space, but it was still very limited and very few people read newspapers at that time,” says Ribeiro. Naturally, the LPGA is eager to expand its tournament, but the business of tournament golf is caught in the same Catch-22 in Rio; for events to grow there need to be more people who have got the golf bug, but to get the golf bug you have to get infected first, and for most people that means swinging a club somewhere…but where? Counter-intuitively, one of the best ways of developing tournament golf in Rio de Janeiro may be to move out of Rio for the time being. One could argue that taking the seedling that is international tournament golf to the more fertile nursery of Sao Paulo, one of the biggest financial centres and richest cities in the world where there are almost fifty golf courses, would allow more rapid short-term growth. There, an event could forge closer links with the international business community, moving back to Rio as a more robust sapling once the opening of the new Olympic facility had created the significant increase in the city’s golf population that such an event needs. That’s not to say that relatively slow spectator growth has to hamper the development of the tournament as a whole. As Kotheimer explains, having the only international event in a sport that resonates with the international business community is a powerful tool to educate and inform potential clients about his business’s ability to cross borders. “We have a tournament with thirty golfers and if you look at the list of players you see a Canadian golfer, an Australian golfer, an Argentine golfer, Spain, Chile, the US, Brazil, England, Paraguay, Taiwan, Sweden, Columbia, Norway, and Korea. The global connectivity of this sport pretty much mirrors the connectivity of HSBC around the world. Our focus for our clients in Brazil is the connectivity between Brazil and China, Brazil and Mexico and so on. There’s an alignment with what golf is doing internationally with what we’re doing internationally,” he says. Yet, even if Rio doesn’t solve its dilemma quickly, things are still evolving exponentially. It would be wrong to say that Olympic status has opened doors for the sport because, such is the elite nature of golf’s status in Brazil that most of the great and good were all ready members of Itanhanga or Gavea, but it has thrown golf right into the middle of much bigger conversations. The landscape is changing, too. The Confederacao Brasileira de Golfe has just announced a domestic national tour, starting small with a plan for three events in 2011. By the end of the year the Tour de las Americas is likely to be absorbed into a far larger Latin American PGA Tour covering South America and the Caribbean and providing the region’s top players a direct route into the Nationwide Tour and, hopefully, following Brazil’s Alex Rocha and Jhonattan Vegas into the big leagues. “It’s a big effort. It’s a very, very important thing, because it’s a new tour made for South America and the money-size of South American tournaments and with the help of the biggest tour in the world. It’s a big step. This will help to form new players and make them grow. We hope in the future we will have many Jhonattan Vegases and a Tiger Woods from Brazil,” Orra states. Golf is reaching out, which given its high-end origins is one of the most impressive aspects of the way the sport is changing. Maria Priscila Iida is talking during a short break between helping teach groups of children from Rio’s favelas, the city’s infamous hillside slums and shanty towns, the day before the 2011 HSBC LPGA Brasil Cup at the Itanhanga course. The idea of clinics for disadvantaged children before a professional tournament is nothing new to the golf world, but it represents an enormous quantum shift in the mentality of the Brazilian golf community caused by Olympic status. “This thing with the children is incredible. Who would have thought we could do something like this?” Iida asks rhetorically. What will Olympic status do for golf in Brazil? August 5th 2011 marks five years to go before Rio de Janeiro hosts South America’s first Olympics and golf returns to sports’ biggest stage for the first time since 1904. Tim Maitland looks at how the sport is evolving in Brazil as 2016 inches nearer. From Rio de Janeiro’s perspective, the final piece of the Olympic jigsaw was put into place in June when, during the IOC Coordination Commission’s visit, the decision to build a new course in Barra da Tijuca, rather than to refashion the nearby Itanhanga Golf Club, was made. 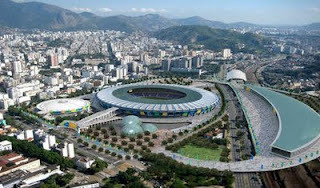 For the Rio 2016 Organising Committee it meant that the venue master plan was complete. With the five-years-to-go point upon us, it gives golf fans a clearer picture of what golf in the Olympics will be like, with the International Golf Federation still working on the qualification premise it presented to the Olympic family when it successfully made its bid for inclusion in 2009: the top 15 men and women in the world rankings (with a limit of four per country) will be there, with the rest made up by working down the rankings with a maximum of two players per country until the sixty-player field is filled. Concerns about whether all of the top players will take their places in the field in 2016 are frequent and, now at least, may seem relevant. One suspects that will be a moot point by the time the Games arrive for the simple reason that the entire multi-billion dollar global golf industry – players, tours, the International Golf Federation, golf courses and the golf apparel and equipment brands – all need the injection of renewed interest a successful Olympics will provide, especially in the wake of the Credit Crunch. So what will Olympic status do for golf in Brazil? Well, just as for the golf world in general, the opportunity is far greater than two four-round Olympic events; it’s already put golf into a whole new stratosphere of Brazilian sport. “After the IOC decided golf will enter in the Olympic Games, things have changed completely in Brazil,” says Rachid Orra, the President of the South American Golf Federation (the Federacion Sudamericana de Golf) and of the Brazilian Golf Confederation (the Confederacao Brasileira de Golfe). Hosting two successful tournaments is of paramount importance for Rio and Brazil but, as Brazil’s former LPGA player Candy Hannemann puts it, that is just part of a far bigger aim. “It’s a project. Our goal is not just the 2016 Olympics. It is “how can we help the 2016 Olympics kick-start more of a golf tradition in the country? And then how can we go on from there?” I think the project is more than just 2016,” says the 32-year-old Hannemann, who played for five years on the LPGA until a wrist injury forced her off the tour in 2008. Things are already changing…starting with attitudes. That’s beautifully summed up by another female professional, Maria Priscila Iida. A third-generation Japanese-Brazilian, Iida talks of moving to Japan eight years ago without a word of Japanese and experiencing a vastly different rural world to the megacities of Tokyo, Osaka and Nagoya that she had envisaged. 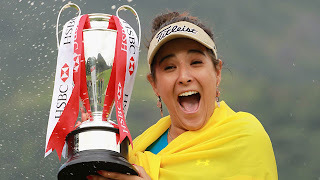 However her tone of incredulity is just as strong when she describes coming back for the first time in six years to play the 2010 HSBC LPGA Brasil Cup. “I had culture shock backwards. Everything was different. There are so many celebrities playing golf right now and you see it in the magazines. 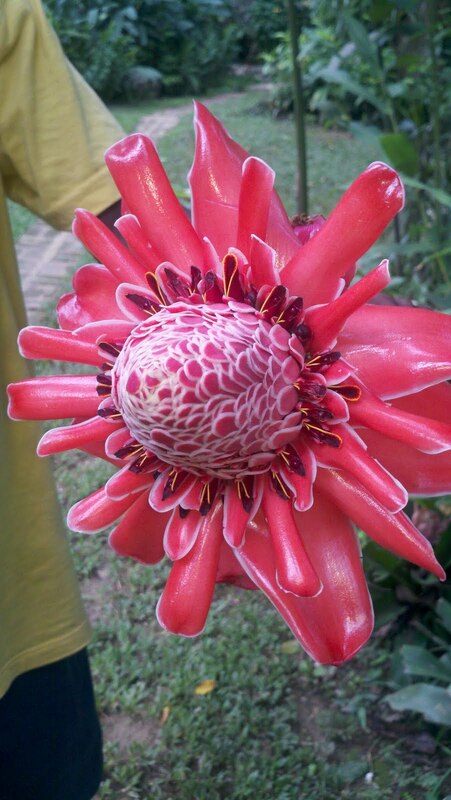 It is like, “What is this? Everybody knows about golf now?” I played with a Brazilian actor last year and learned that Formula 1 driver Rubens Barrichello takes lessons with my ex-coach,” explains the 32-year-old Iida, who played with Hannemann in Brazil’s junior national team before either reached their teens. “The way I hear things it’s becoming much bigger. You can’t count the golf courses anymore; there are so many. They’re golf courses one here and one there. It’s bigger and it’s growing,” she adds. Rio’s challenge is that the Japeri Golfe Clube, the only public facility in the entire city, it is losing two of its nine holes because of road expansions prior to the Olympics. 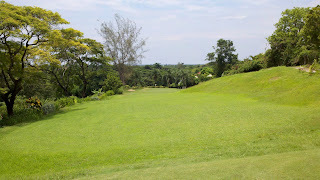 The other two golf courses, Itanhanga Golf Club and Gavea Golf and Country Club, are the high-end private members facilities. “It’s a Catch 22!” says Candy Hannemann. “It’s like the chicken and the egg story. Without the egg you don’t have the chicken, without the chicken you don’t have the egg,” echoes Enio Ribeiro of Brasil1, the biggest of the country’s sports marketing companies involved in the golf industry. “There needs to be people playing for somebody to invest in it, but nobody will play unless there is a place to play,” Hannemann continues. “Here the investment needs to come with a leap of faith; a belief that the game’s going to grow and be marketed in a way that will bring the game to the mass, because that’s when golf becomes big. We could have thousands of people out there with the potential to be PGA or LPGA golfers but we don’t know they have the talent because they don’t have the access to it,” she points out. Right across the board in Rio there’s a consensus that the issue of accessibility to the sport needs to be solved if golf is going to benefit from the Olympics. “The most important thing is the facilities. That’s simple math. Brazil has 200 million people and only 25,000 golfers. Argentina has 50 million people and 200,000 golfers. Because of the economy we definitely have around 10 million people that could play golf. What we need to do is have facilities that can allow them to try it,” says Ribeiro. “We need some big magic…not magic…we have to work harder,” adds Rachid Orra. The good news from Rio’s point of view is that, with almost every major stakeholder in golf engaged in the process of preparing for the Rio Games, help is more available than it has ever been in finding the fix to the Catch 22 issue. “Everyone from here, that’s what they want to talk about: every single one of them. It’s a vicious cycle that we have to figure out how to break, and we can. 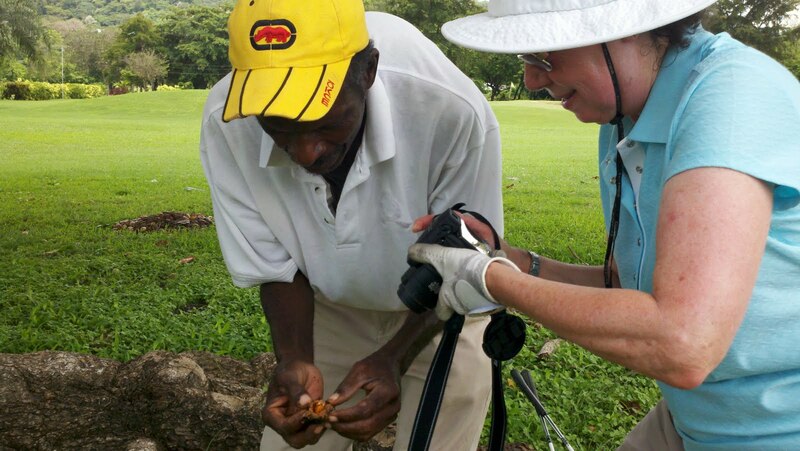 It’s more about awareness,” says Jane Geddes, a two-time major champion and chairman of the International Golf Federation, during a short break between meetings arranged for her trip to the HSBC event. Historically, the kind of investment golf needs has been an issue in Brazil where spiraling inflation prohibited long-term projects, but since 2000 the number of golfers has increased from 6,000 in that year, stabilising in more recent years at around 25,000. The number of courses has increased too in those 10 years, up nearly 25% to 110, while another 30 are under construction, but as Rachid Orra mentioned, some of that growth is far away in sparsely populated states like Bahia and Pernambuco catering only for European tourists a surprisingly short six-hour flight away. The fact that this development is happening at all is a product of a period of growth that has seen Brazil develop into one of the world’s top 10 economies by gross domestic product. “The economy in Brazil for the past 10 or 15 years has really been a stable economy and one where you see significant amount of foreign investment for a variety of different projects. One of the largest offshore oil finds in recent history, the Topi oil field, is offshore of Rio so there’s a lot of investment taking place in the oil and gas industry in and around Rio. Similarly in other parts of Brazil; investments in agriculture, investments in other industries are taking place,” explains David Kotheimer, Vice President of HSBC Bank Brasil. “The economics are there. The financing capability is there. The economy in Brazil is there. From a demographic perspective, you see more and more people improving their socio-economic condition year-on-year and that’s predicted to continue over the next 30 years. The prosperity in Brazil is continuing to increase. The stability, you’ve had that in the Brazilian economy for a long time now and that’s why HSBC is here; we’re helping with that growth and we’re making those types of loans to companies that need to invest. That will continue on. I think the stability is there and the financing is there; it’s having a sufficient demand for that type of investment in a driving range or golf course,” Kotheimer adds. So the financial climate ripe, and the socio-economics suggest a significant sector of Brazil’s population are in the process of moving into the level of wealth where golf becomes aspirational. Growing and meeting that demand, which you could break down as a combination of awareness and opportunity, stand hand-in-hand as Rio’s big obstacles. The second part of Tim Maitland's article, Golf and Brazil's International Olympic Growth Potential, will be posted tomorrow is now posted on Golf for Beginners blog. Surely the hottest buzz during the 2011 U.S. Open was in response to Rory McIlroy's tremendous golf game but there were other side stories that kept the media, and fans, humming. Here are a few memories from the 111th U.S. Open at Congressional Country Club. 1. A Chandler-Slam? 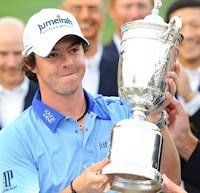 Rory McIlroy's stupendous comeback after a misstep at the Masters to become one of the youngest U.S. Open champions set the stage for a possible 2011 Chandler-Slam. Andrew "Chubby" Chandler's stable of top-notch golfers has given him a few major wins including last year's Open winner Louis Oosthuizen and 2011 Master's Champion Charl Schwartzel. Could Lee Westwood grab this year's "British Open" or will McIlroy's confidence carry him through the rest of the season? 2. The next Tiger Woods? McIlroy will have to win quite a few more tournaments to be placed in the same league as Woods, but leave it to the media to make comparisons to get fans' juices flowing. In majors it's still Tiger Woods-14, Rory McIlroy-1. 3. If Tiger Woods makes a comeback, can he compete against a younger group of golfers? Tiger Woods' physical (and mental) issues could prevent a comeback. His body is not recuperating as easily as when he was Rory's age. The youth, talent and mental strength of McIlroy may have the Tiger by his tail. 4. European Tour and Asian Tour globalize the U.S. Open. During the U.S. Open, there were questions as to whether or not an American would finish in the top-ten; if not, it would have been the first time since the early 1900's that an American could not rise to the occasion. During his reign, was Tiger Woods so overpowering as to leave a gap in the strength of the PGA Tour? European/Asian Tour players did not have the same distraction week after week. 5. Fashion sense (?) 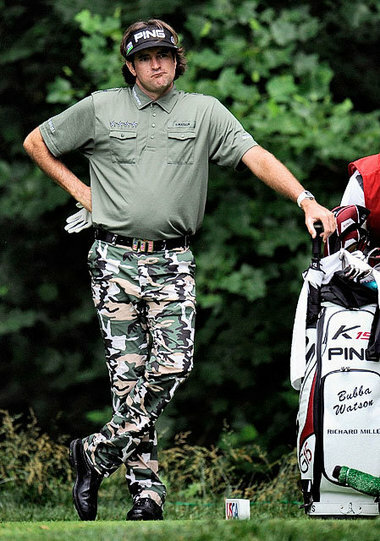 Bubba Watson's camoflage pants ; you either loved them or hated them but either way, fans had something to say about them. Come to think about it, pink pants were stylishly worn by Ryo Ishikawa but similar threads donned by Davis Love III didn't go over well, especially by a man who rides a custom chopper. Finally, during the NBC opening sequence of the final round of the U.S. Open, a few words were noticeably left out of the Pledge of Allegiance. Although hosts apologized for the "under G-d" mis-hap, it was an unfortunate bloop (?) to make but still not as bad as Christina Aguillera's rendition of "The Star Spangled Banner." 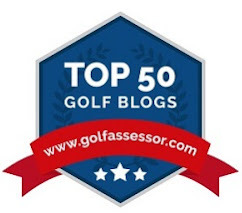 Voice your opinion on Twitter @Golf4Beginners and friend us on our Facebook page. U.S. Open hopeful Dustin Johnson is actively promoting the golf mecca, kids are flocking to it (for the free golf?) and the beaches are so pure that the Grand Strand has been ranked as one of the best and least expensive vacation areas by U.S. News Media Group. Myrtle Beach is a rising star as a family fun destination. "Myrtle Beach truly is one of the world’s top golf destinations, and has so much to offer in the way of beaches, restaurants, nightlife and even shopping. I can’t think of a better place for a golf vacation, and I’m proud to now be able to spread the word. 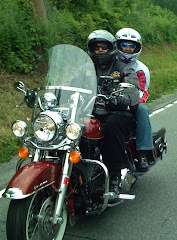 Regardless of where I reside, Myrtle Beach will always feel like home." In addition to Dustin Johnson's promotion of "The Golf Capital of the World", and in an effort to grow the game of golf and to make memories in a family-friendly environment, kids will be allowed to "play free" on almost half of the Myrtle Beach area golf courses. The Myrtle Beach area Kids Play Free summer program is also meant to encourage a bit of friendly competition between fathers and sons, mothers and daughters and all who would like to compete in the 2011 Summer Family Golf Tournament. The series, hosted every Wednesday at a different golf course from June 29th-August 10th is open to any duffer, whether or not you have a handicap. I fear however, that Myrtle Beach tee times may also be at a premium during this summer season! Here is a sampling of a few well-known Myrtle Beach area golf courses participating in the "Kids Play Free" Program. Wachesaw Plantation East is a Tom Fazio designed, low country Scottish links course listed in Golf Digest's "Places to Play" list and was also host to the LPGA Tour on four occasions. The eighteenth hole, it is said, is a well-known visual spectacle and should not be missed. Sandpiper Bay Golf Club was the 2010 MBAGCOA Golf Course of the Year and is rated four stars by Golf Digest. 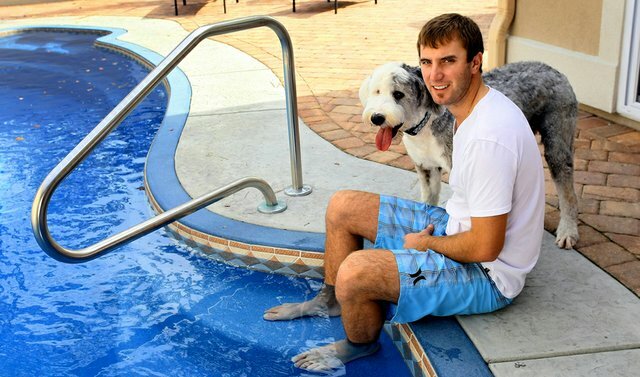 It's on Sunset Beach, about twenty minutes from the heart of the action, newly renovated and you may just spot professional golfers like Curtis Strange hosting a free clinic this season! 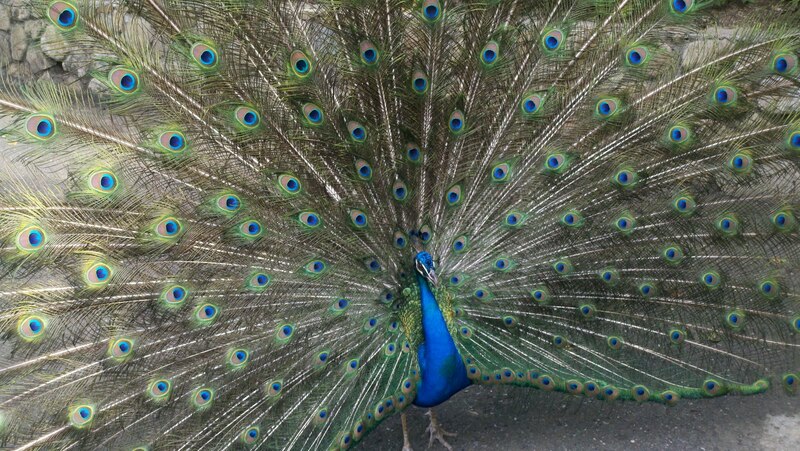 Although Tidewater Golf Club is very challenging (especially in the rain), it is also nature at its best. A true risk-reward course, a golfer needs good course management to score. 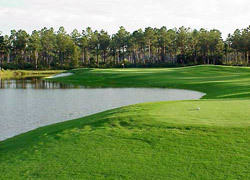 A Golf Digest "Top 100 You Can Play", Tidewater is definitely a world-class Myrtle Beach golf course but may be too strenuous for beginners. 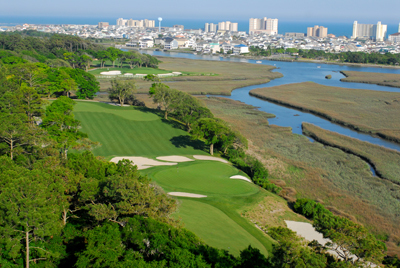 With about one-hundred golf courses spread throughout the Myrtle Beach area, golf is definitely a main attraction. Visit the beach, add the NASCAR Speed Park experience, Broadway at the Beach and Zipline fifty-feet above water and you and the kids will keep busy your entire vacation! At least once or twice a year I travel three hours from New York to Atlantic City, New Jersey, in order to partake of boardwalk/beach action, great casinos and, of course, the nightlife. Rarely do I ever spend more than an overnight and, strangely enough, I have never played one round of golf in Atlantic City! 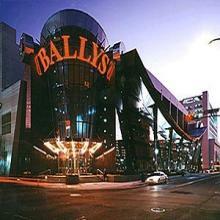 The Atlantic City Golf Course (operated by Hilton Hotels) is undeniably a place to play a round of golf; the terms "Birdie" and "Bogey" were coined there, but it is to understand casino strategy and pull the one-armed bandits that I usually find myself in New Jersey. I am not a heavy gambler; as a matter of fact, I rarely move past the quarter machines to the dollar machines, but I still like the action of pulling the slot handle and usually sit mesmerized until the wheels have made their stop. It is usually my husband who will meander with me through the roulette and blackjack tables in order to find the dealer that "feels" right. Also, the drinks are free in Atlantic City casinos...definitely a "plus"! Being that I have stayed and played (even briefly) in almost every resort in Atlantic City (including off-boardwalk premises), here are a few hotel and casino reviews to make the most of your vacation. Not only are the hotel buildings all an indoor walk to each other, Caesars has reopened a beautiful indoor mall shaped like a ship which has a wonderful water show every half hour on the hour. This means that, for people who want to explore but don't wish to wander the boardwalk, everything you could ever need or want is indoors; gambling, food and fun! For those people who would prefer staying at a resort which is about a half-mile stroll to the center of the boardwalk, I suggest the Hilton Casino Resort, next to Tropicana hotel. 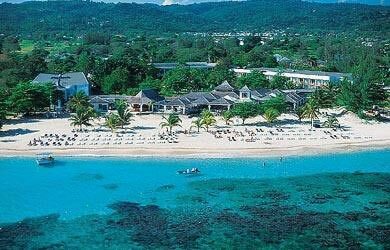 The Hilton provides a lovely beach bar, elegant surroundings and, in my humble opinion, good odds. Also, right next door to Hilton is the Tropicana, a huge resort complex for when you feel you need more excitement and a change of scenery. 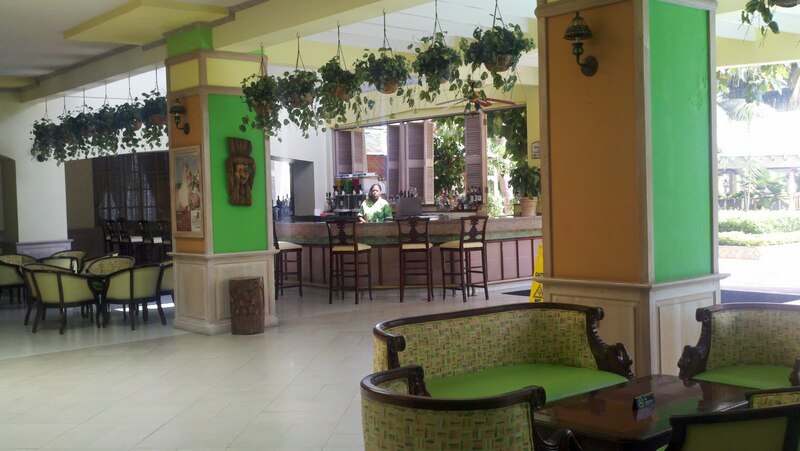 The Tropicana also has so many dining options and is so large that you may lose your way! On the opposite side of the boardwalk, and for fans of New Orleans, stop by the Showboat. House of Blues makes its Atlantic City home at the Showboat and it is also right next door to the once glamorous Resorts Hotel and Casino. I personally liked the Showboat Hotel more in the past, when there was a live band in the lobby and the musician who wandered around entertaining and teaching guests to play the spoons in the hallway but cutbacks, I guess, have made these entertaining treats unaffordable. 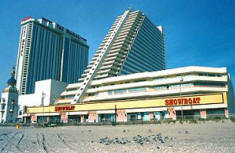 I am content to visit Atlantic City at least once or twice per year although it is certainly not as bustling as the Las Vegas strip (it also isn't a five-hour flight away). I might eventually play golf in Atlantic City but for now, it's the long stretch of boardwalk and entertainment keeps me coming back for more. One segment of the girls' golf getaway package at Breezes Runaway Bay Resort is, naturally, to take a lesson and play a round (or more) at the SuperClubs Golf Club but once that is done, what are five adventurous ladies supposed to do? 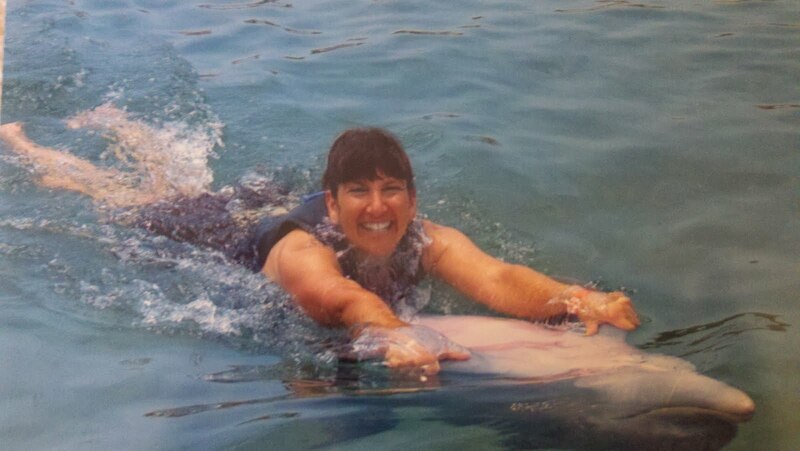 Why not interact with dolphins! The morning began with a lovely breakfast buffet including the freshest of fruit and some of the finest Jamaican coffee (with warmed milk) at the Beach Buffet. 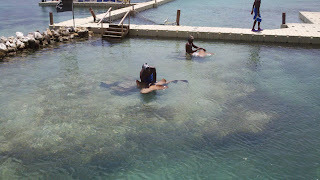 The girls gathered in the lobby and were escorted to Dolphin Cove at Treasure Reef, purported to be Jamaica's number one attraction, to get up-close and very personal with dolphins, sting-rays and even stand over shark-infested waters! We opted for the "Encounter Swim" program and had enough time before meeting the dolphin named "Skye" to first watch an entertaining shark show where the sharks were "tame" enough to allow their trainers to rub their undersides. The girls even had the opportunity to hold a very heavy, slithery stingray then snorkel alongside of these mammals and other assorted fish. 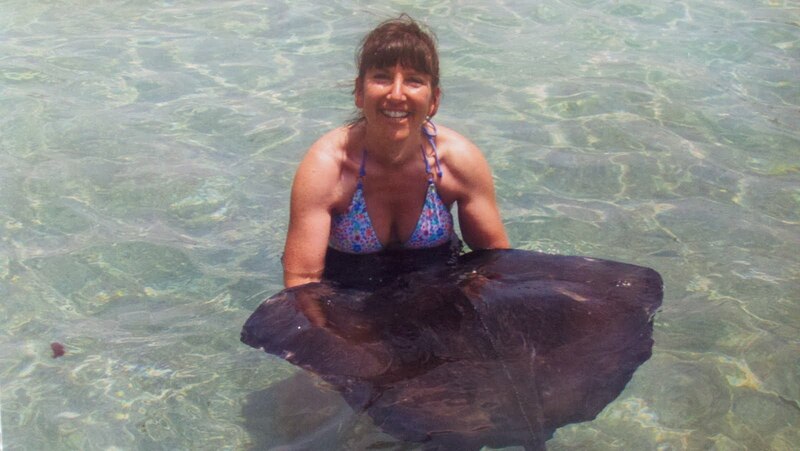 Stingrays are carnivorous yet non-aggressive shellfish although they do have poisonous barbs, only used in self-defense. We snorkeled alongside these and other fish. 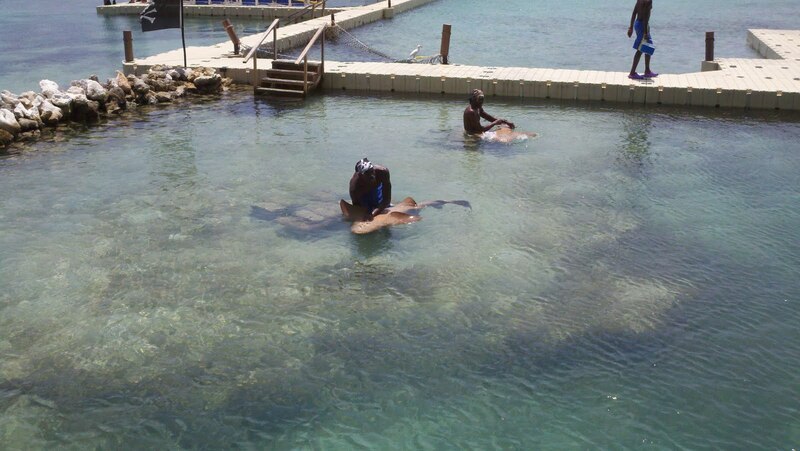 My first snorkel experience was very exciting and memorable. 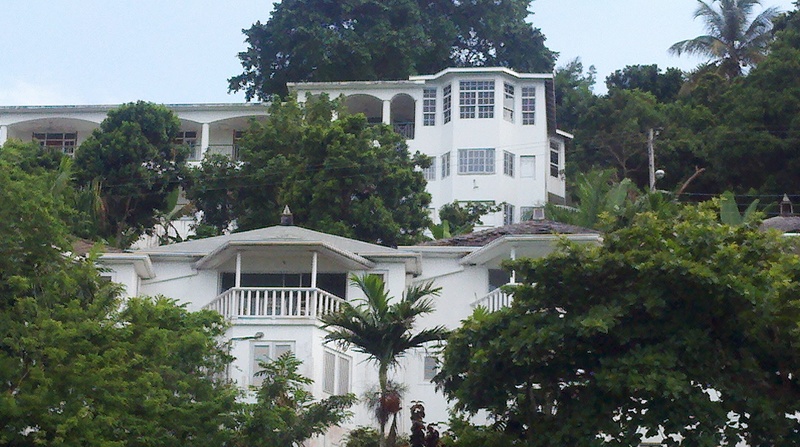 A tour of Ocho Rios was next on the agenda. I found myself slowly slipping into a state of happy "ya mon" and everything was beginning to look IRIE. 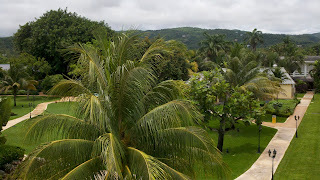 My first experience in Jamaica was in Ocho Rios: I fell down a manhole, legs dangling, while my husband looked around to see where I had disappeared! Many of the local shop ladies came to help, clean me up and "mother" me and from that time forward, I have always felt that there were no kinder, more helpful people than Jamaicans. Ocho Rios proudly displayed a bustling thoroughfare. 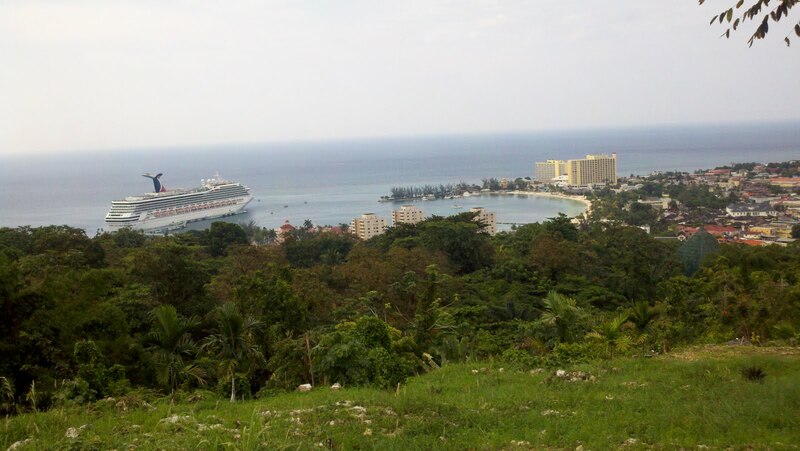 Jamaica's main cruise ship destination of was named by the Spanish Las Chorreras, or The Bay of Waterfalls while the Arawak called Ocho Rios, Maguana. 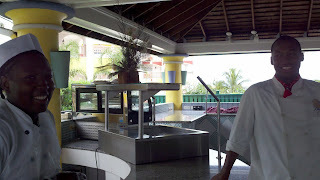 The drive up Shaw Park Road led us to the newly opened Oceans on the Ridge Restaurant and Jerk Bar where views of the cruise ship port and mainland go on for miles while towering behind the bar stands Mick Jagger's vacation hideout. 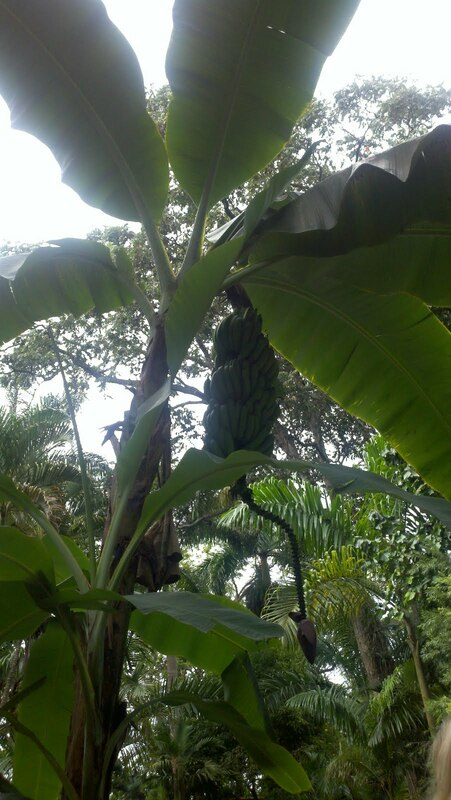 Continue along Shaw Park Estate and you will come upon Mahoe Falls Coyaba Gardens. Coyaba is the Arawak word for heaven and, with an assortment or rare and tropical plantings, a waterfall climb and George the Peacock outstretching his plumes for guests, this beautiful retreat will take your breath away. The day was filled with action, fun and and much relaxation, so much so that I knew that I had finally shifted into "vacation-mode". 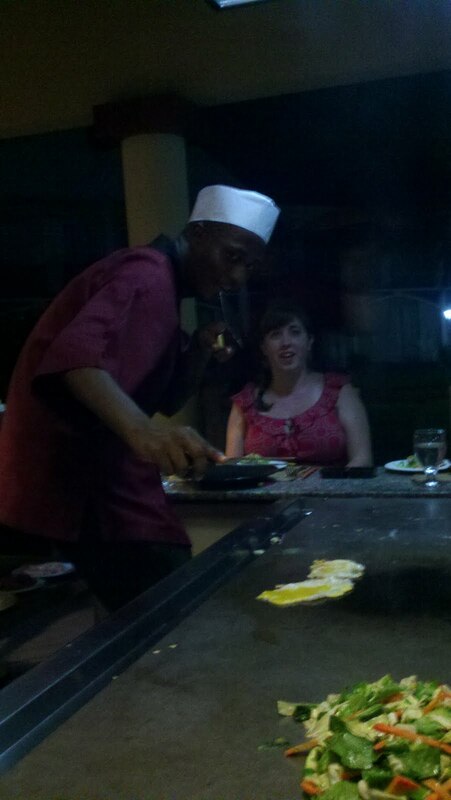 <==We'll be enjoying Asian Fusian cuisine in front of a hibachi tonight at Munasan, one of Breezes Runaway Bay's two reservation-required restaurants. Tomorrow I head for home back aboard Air Jamaica but I won't be thinking of that tonight for we are celebrating reggae-style! See me riding the dolphin Skye on Facebook feel free to post your opinion on Twitter @Golf4Beginners and on the @Breezes_Resorts Twitter page! Although air travel was more than a bit turbulent on today's descent into Jamaica's Donald Sangster Airport, the "super-inclusive" hospitality offered by Caribbean Airlines made up for any discomfort. 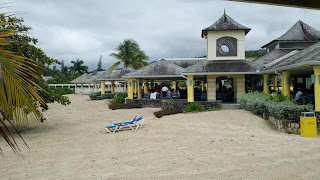 Most airlines tack on fees for baggage and throw you a bag of peanuts but Air Jamaica offers fliers two bags of luggage checked-in for free, a treat if you want to bring your golf clubs with you to Breezes Runaway Bay. I was also surprised to receive a hot, tasty sandwich with two snacks. 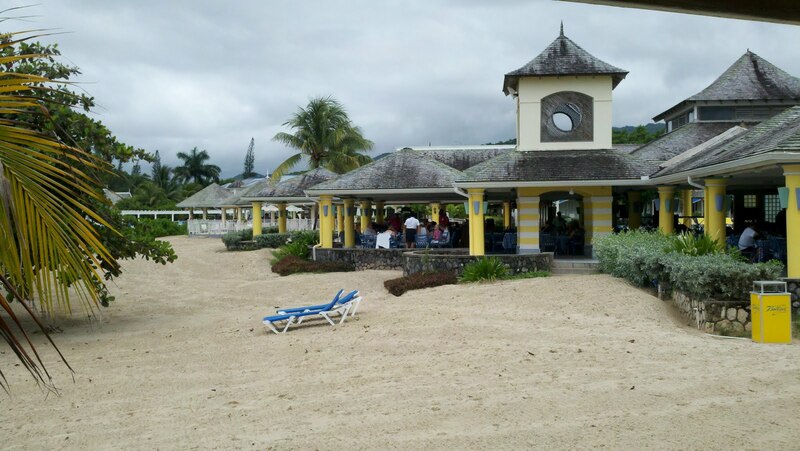 The online web portal check-in, available within three to twenty-four hours of my Jamaica escape, offered a short wait on the "special" line. 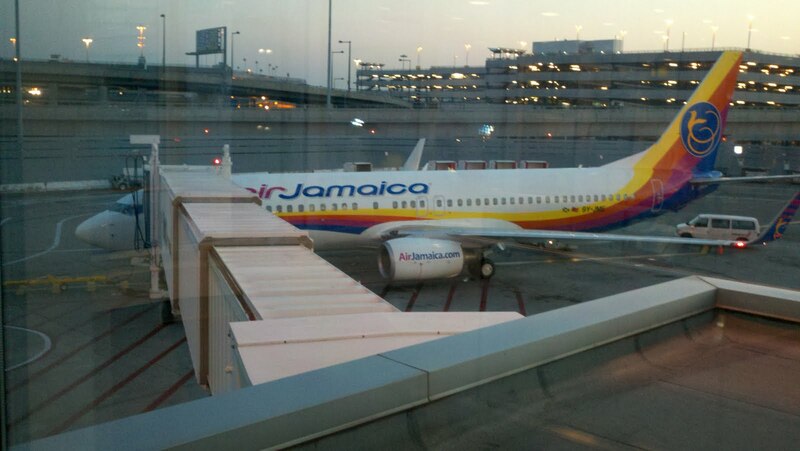 Air Jamaica, which just merged with Caribbean Airlines, calls their attentiveness "lovebird service", I considered it refreshing! 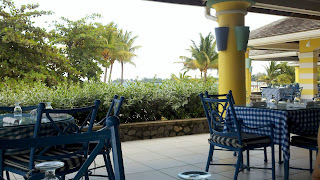 Once the flight arrived safely in Jamaica, customs validated my passport and then it was a short walk to the Breezes Runaway Bay lounge located inside the airport terminal. Travelers were greeted and quickly checked-in then shuttled off to the lavish twenty-two acre resort for super-inclusive service. 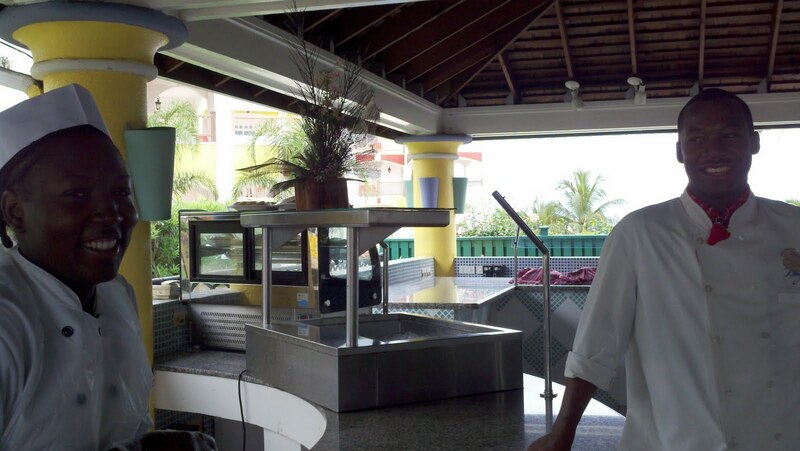 My super-inclusive Jamaica vacation began with a delicious buffet lunch at the al fresco Beach Terrace restaurant. Stations offering a variety of food from grilled shrimp and pasta (my choice) to tacos (and tempting desserts like warm chocolate bread pudding) had me going back for seconds. 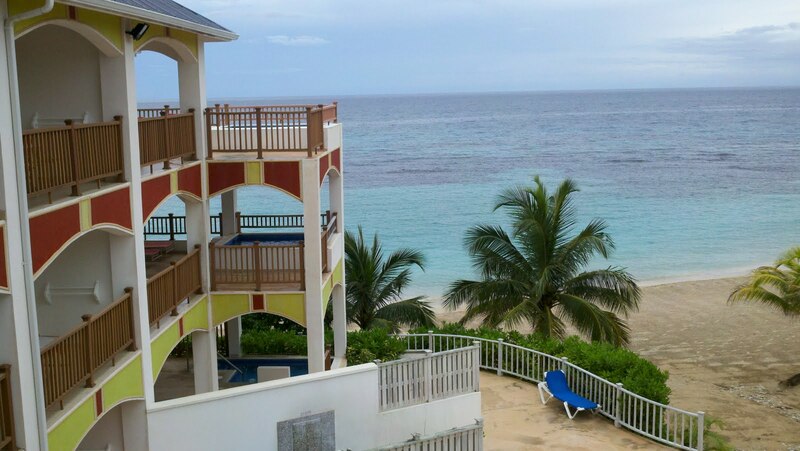 You would think that the soft-sand beach is the main attraction at Breezes Runaway Bay but it is the people who work here and greet you with "Welcome home" that are the stars of this Resort. Tomorrow, my Jamaica golf vacation kicks off with a video golf lesson and a round to be played at SuperClubs Golf Club. The fact sheet on this par 72 eighteen-hole championship golf course says that a few of its strengths are large flat greens protected by grassy mounds and sand bunkers. Add wind gusts of up to thirty-five mph and you can see why the SuperClubs Golf Club has hosted the Ryder Cup match between the UK and the West Indies, among other professional events. Although Steve Stricker trophied with a one-stroke win at The Memorial (and had a memorable hole-in-one this week), it was Zack Miller who captured Kodak Challenge Shot of the Day honors when he dropped his 136-yard approach to one inch of the cup on hole fourteen during final round action. Miller was one of thirteen pros to birdie the tricky 363-yard par-4 Kodak hole at Muirfield Village. While Miller's near eagle led to the easiest Kodak birdie, Daniel Summerhays drained a twenty-one-footer for the final round's longest Kodak birdie putt. Kodak Challenge hole number fourteen is a tricky 363-yard par-4. 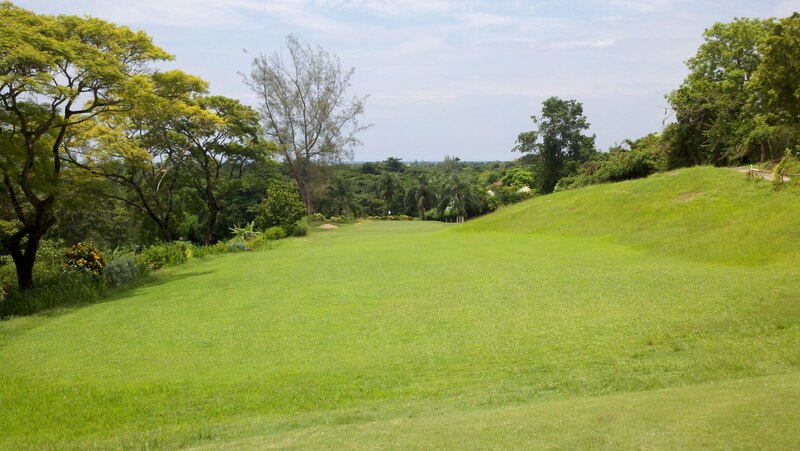 The picturesque hole presents golfers with a downhill tee shot into a wide, tree-lined valley. About 245 yards from the championship tee, a creek emerges from the left woods to border the fairway. This carries on for some 40 yards before angling across it and then on down to flank the right side of the green. The green is long and narrow and heavily guarded left by several bunkers. Earlier in the week, Charley Hoffman picked up a stroke in the opening round for sole possession of second place on the Kodak leaderboard at 10-under-par. Hoffman sits just one shot behind frontrunner Bill Lunde, who played No. 14 at par before withdrawing due to illness. J.B. Holmes and Matt Kuchar also gained ground at Muirfield Village with Kodak birdies to move within two shots of Lunde at 9-under. Kodak Challenge hole fourteen played exactly at par during the final round of the Memorial Tournament hosted by Jack Nicklaus. The firm and fast green yielded thirteen birdies, forty-nine pars, nine bogeys and two double bogeys. The next Kodak Challenge hole is the 239-yard par-3 fourteenth at TPC Southwind in Memphis, Tennessee during the FedEx St. Jude Classic this week, June 9-12. The FedEx St. Jude Classic will be the eighteenth of thirty tournaments to participate in the $1 million season-long Kodak Challenge competition.